The current king of malware threats is ransomware. A ransomware attack takes your computer files hostage by encrypting them unless you pay the cybercriminals a specified amount of money. Unfortunately, it looks like this business is booming. The number of ransomware attacks skyrocketed in 2016, likely due to its profitability, making it the fastest growing cyber threat in recent history. Over time, ransomware has evolved, using several different methods to disable a computer. The most recent method locks the computer display so that you can’t access any programs or files. First, your computer is infected with a virus (usually accomplished by tricking you in to clicking on a link, or by infecting a computer that has outdated software installed). Then, a message appears warning that you “have browsed illicit materials and must pay a fine.” Once installed, the program will take over the computer, locking it from use – or in extreme cases, encrypting files. The program is accompanied by a timer, which will either increase the ransom amount as time passes, or permanently encrypt all files when the time expires. Back up your data regularly: This is the best way to recover your critical data if your computer is ever infected with ransomware. Also, make sure your backups are secure and not connected to a computer network that could possibly become infected. Never open risky links in emails: Do not open attachments from unsolicited emails, as it could be a phishing scam. 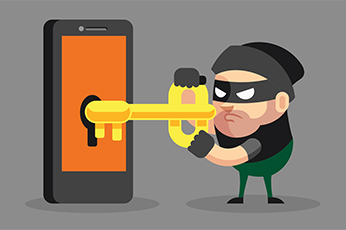 Ransomware can infect your device through malicious links found in phishing emails. Do not enable macros: You should never download PDF, Word, or Excel files attached to unsolicited emails. If you do open one of these documents, and it says that you need to turn on macros, close the file and delete it immediately. 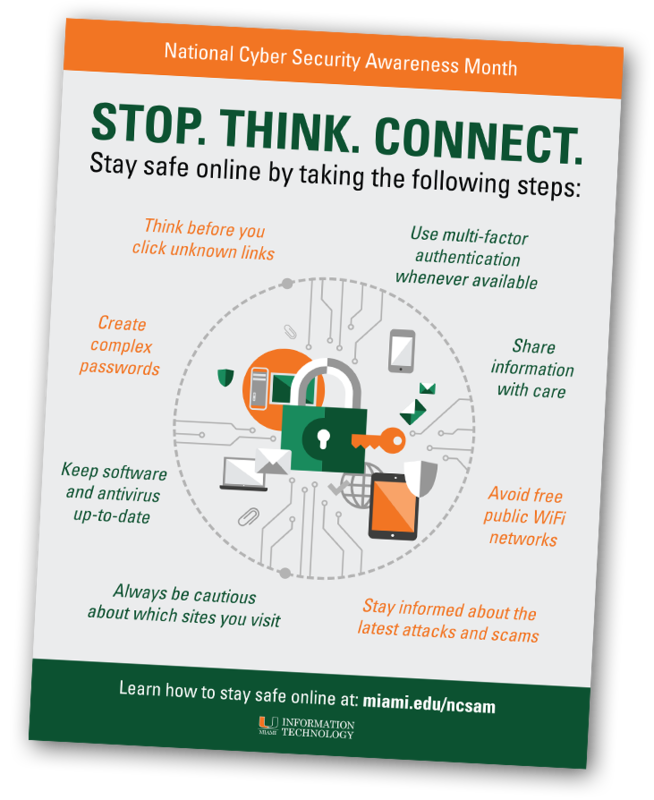 Have strong security software installed on your device: The University of Miami provides McAfee VirusScan to all faculty, staff, and students at no cost. This type of security software will help prevent the installation of ransomware on your device(s).